Founded in 1971, Hobart has since become a well-known brand for their top-quality products. From Hobart Plasma Cutters to their amazing protective apparel, Hobart has become a go-to company for metalworkers and welders alike. When it comes to welding helmets Hobart excels at providing a wide-range of quality products (something very important when it comes to protecting yourself) to choose from. In this list we'll take a look at some of the more popular Hobart welding helmets and what makes them so special. Hobart Impact Variable Auto-Dark Helmet 7.05 Square Inches 2 Years $ Check Amazon for Best Price! Hobart Pro Variable Auto-Dark Helmet 9.02 Square Inches 2 Years $$ Check Amazon for Best Price! Hobart 770746 Helmet with Black Auto-Dark Variable Shade 6.9 Square Inches 2 Years $ Check Amazon for Best Price! Hobart Discovery VS Graphic Camo Variable Auto-Dark Helmet 6.9 Square Inches 2 Years $ Check Amazon for Best Price! 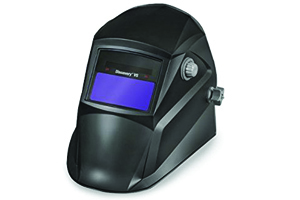 Starting off our list is the Hobart 770756 Impact Variable Welding Helmet. My favorite thing about this helmet has to be the perfect viewing area of 7.05 square inches. Which provides great viewing comfort, a problem I've come across way too often with lower quality helmets. Not only does this auto-darkening helmet have a great viewing area, but you'll also be pleased to know it has about a 1/25,000 second reaction time. A great reaction time that can help ensure your eyes are protected against arcs which can interrupt or mess up your work. Being made with a durable polymide shell, the Hobart Impact Variable is also amazingly weightless. With a lighter weight you won't have to worry about any discomfort or soreness when you're spending long hours working. The Impact Variable also comes in various styles (like a camo welding helmet) for anyone looking for a welding Helmet that stands out. You can find all the different styles here. 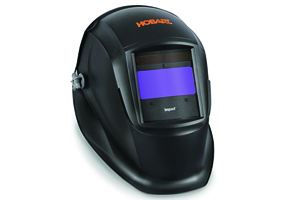 Next up on our list is the Hobart 770753 Pro Variable Welding Helmet. Although this helmet might be a little pricer than the Impact Variable, it's Pro performance features make it well worth every penny. With a viewing area of 9.02 square inches, it's definitely a major upgrade from Hobart's other models. And with a reaction time of 1/30,000 seconds, you can see why this helmet is one of the more popular choices of more experienced welders. Just like the other models, this helmet is made with the lightweight and durable polyamide shell, so you can get your money's worth without worrying about losing quality. If your're still having doubts, you can look at a full list of the features below or read more reviews for yourself. 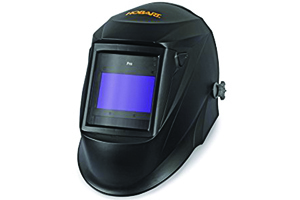 For anyone on a budget but still wanting a great welding helmet, the Hobart 770746 Auto-Dark Variable Helmet would make a great purchase. Unlike the other Hobart models, the Hobart 770746 only has a 1/12,000 second reaction time. It also has a smaller viewing area of just 6.9 square inches. The great thing about this helmet though is that it's still made with the same durable polyamide shell as the other Hobart models. So you can still expect longevity along with great lightweight comfort. Now I do recommend a different welding helmet if you have the money, but if not it still makes a great budget welding helmet and can get the job done. 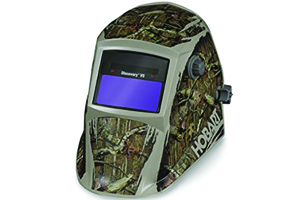 Last but not least is the Hobart 770747 Discovery VS Camo Welding Helmet. Just like the Hobart 770746, the Discovery VS isn't as great as the other models and is more of a budget-friendly welding helmet. It has a 1/12,000 second reaction time, with a 6.9 square inch viewing area. you can also expect long use and great comfort with the lightweight polyamide shell. Besides being a cheaper helmet, Hobart has the helmet available in different unique styles which you can find here.